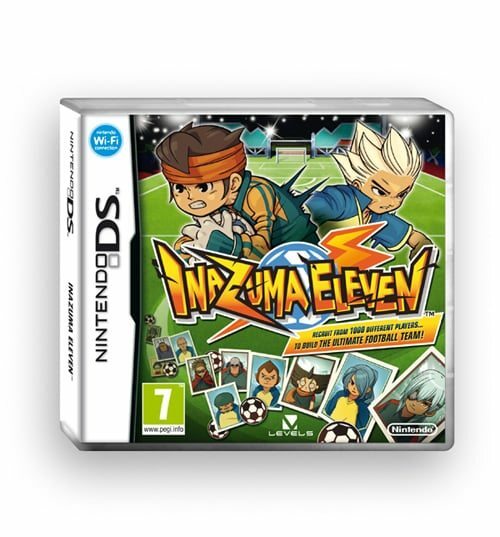 For those that will be looking beady-eyed in their local games retailer for a copy of LEVEL-5’s football action role-playing game, Inazuma Eleven, Nintendo UK have today released the box art for the Nintendo DS title. Due to release in the United Kingdom and Ireland on August 25th, Inazuma Eleven follows the journey of teenage goalkeeper Mark Evans as he tries to recruit the best players possible for his school football team. Setting out to win the prestigious Football Frontier tournament, you’ll encounter characters with unique abilities such as power spins, sky kicks, teleportation and flying fireballs. Captivating anime sequences serve to enrich the storyline, and players are able to explore the town in the game to scout for potential team mates.